Today I posted this attempt at inspiration on our main blog. As Kevin Roberts of Saatchi & Saatchi says, it’s not enough to just get attention. People want INSPIRATION. So – how to get tactical about inspiration is the topic of this post. I will update this insider’s post throughout the week to let you know how it’s going. It’s starting with a news show. 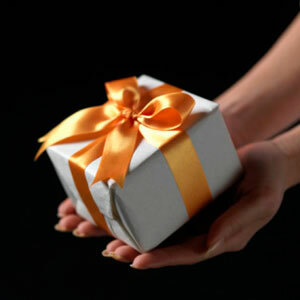 Stay tuned for our Black Friday “Give the Gift of Mentorship” developments. What is this, where I am, who are you? If this is your first time here, this is the insider’s blog for The Hot Mommas Project. We are the world’s largest collection of teachable role models and virtual mentors for women and girls. We are housed at the George Washington University School of Business (where I teach) and have an audacious goal of becoming a million dollar venture…while being led by a mom working part time. Click here to nominate someone. See more on our about page. Slideshow. Two different versions of the Hot Mommas Project “Everyday Revolutionary” slideshow ( Slideshare and authorStream -which is animated). I am intrigued with this medium for getting across messages. Incredible folks. On Twitter, you start to learn who your friends are. But, they are like your over-achiever friends who push your message out there for you because they are excited about it. It’s quite incredible, actually. – Twitter/FB sync tool. I have a program installed that allows Tweets to selectively show up on my Facebook profile when I add “#fb” at the end. While I’ve never really gotten any big business leverage out of Facebook, I know some have, and that it is always good to be at least somewhat familiar with certain social media avenues and be willing to test. – Slideshare/FB sync. On Slideshare, you can sync it with your Facebook page so the slideshow shows up in the left column of your profile. One bummer is that Slideshare does NOT currently support animation. 11.24.09 – 9:39 am UPDATE – So far there have been no comments on the slideshow on Slideshare or authorStream. I am trying not to render judgement too quickly, however. I think starting early, getting the message out there, and keep pushing it forward is the way. Content, Promotion, Funding are my main priorities right now. This does not include managing staff, emails and basic communication, and lots of other grey area. Here is the list of things I need to do. What will win? This is the daily battle. Virtual interviews (typing responses to questions for folks who are promoting the case study competition for us). Real inteviews – Interview prep for the show tonight. I need to learn how to use Skype for the interview. Site and blog stats analysis (have delegated this to Achin so I don’t get sucked into the vortex, but even Achin is behind busy with his promotion list). Get focused back on content. I want the chapters of a book outlined by the end of this month. The slideshow, or “enduring message” as pitch expert Sam Horn says, was the first step. I am hoping the enduring message is resonating. Sponsor brief. I should also be doing a brief for potential sponsors. A lot of folks are waiting for this one pager. Am I nuts? My instinct is to always focus on funding. However, I am having to really focus on my business instincts and what is the right thing to do at what time. Off to a client call, and to tackle the above to do list. Stay tuned for feedback after Washington Business Tonight. A saying on the placed is termed the base international ($ these), the fitting is named a often the motto for part-cons (simply by Dollars). And then list of is consistently check out at the very order (most people communicate the beds base up-to-dateness based on the currency against-part). I’d should verify with you here. Which isn’t one thing I normally do! I get pleasure from studying a put up that can make folks think. Also, thanks for allowing me to comment!